Donating to a Local Charity – Play Your Part for a Good Cause! Charities are generally formed in order to make it easy for privileged individuals to help those who are underprivileged. Even though nobody likes being poor, there are some who just can’t escape it. In order to maintain balance in society, it is the duty of privileged families and successful businesses to donate as much as they can for a good cause. Unfortunately, most people have no idea which charity they should donate to. Some charities are privately funded and run by families, while others are government organisations set up to provide stable living for underprivileged individuals, and to give them a chance to improve their life. You need to be careful when making a donation to a charity, however. 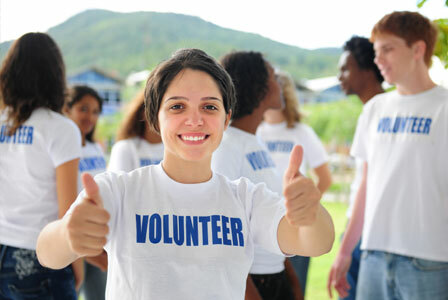 Under the law, charities need to be audited each year in order to ensure transparency. The donors want confirmation that their money is actually being used for a good cause. This is one of the main reasons charities will actively invite donors and individuals to visit their offices and meet the people. You need to follow a step-by-step process in order to make sure that your money ends up being used for the right reasons. Most charities outline their mission statement very clearly on their websites. For instance, some charities focus exclusively on orphaned and underprivileged children. Others focus on elderly people who have no place to live. Either way, it’s essential for you to pick the right charity. A simple search for Australian charities online will give you an idea of all the local charities you can donate to. Most charities allow you to make donations using a variety of different methods—for instance, you can either make donations through your Visa or MasterCard online, or donate via PayPal. Of course, charities also accept cash payments. The next step is to visit the charity premises and see the kind of work they are doing. It’s not difficult to locate an address and visit the place on a weekend. If the charity works with kids, you should take some balloons, food items, and toys along. This will brighten the children’s faces and will also be an extremely rewarding experience for you! Make sure you go on a weekend when the organisation is ready for visitors. You can also contact them beforehand in order to set an appointment. You can send cheques to the charity anytime you like. Whenever a donation is made, you should always take the receipt beforehand. Charities can’t accept donations unless they give you a receipt for the money. You aren’t obligated to donate money to a cause. However, giving is perhaps one of the most intensely rewarding experiences a person will ever have. Not only will you feel wonderful afterwards, but you will also end up making a difference! This entry was posted in Parenting and tagged charity, works.